8th September 2011: There are several news. 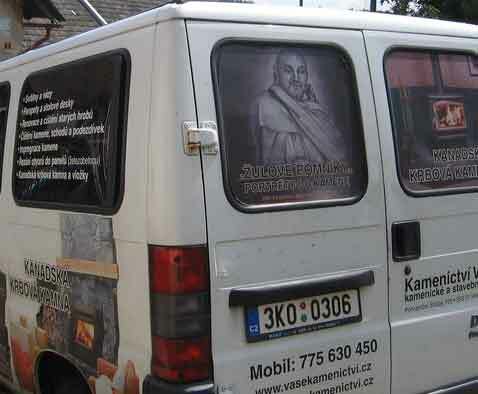 First of all, the Czech edition of Suhotra Maharaja’s book Dimensions of Good & Evil has been published in June by the same crew as was Transcendental Personalism last year. If everything goes well, next year we should have Vedanta Psychology also.Second good news is that finally we have managed to publish Maharaja’s gallery on Picasaweb. There are several hundreds of photos and still there are some more photos to be added. If anyone of you happens to have some photos which are not included there, please let us know. And finally, here is the Samadhi report by Kasya Prabhu: “After a long one year I returned to Sridhama Mayapur to be happy to do some service for Gurudeva’s samadhi. As you can see on the pictures, his paraphernalia has got a bit weary, growing some fungus on it. I took a sand and water, and brushed it thoroughly, cleaned the inside of the samadhi, and oiled the cane and shoos so they can last longer. 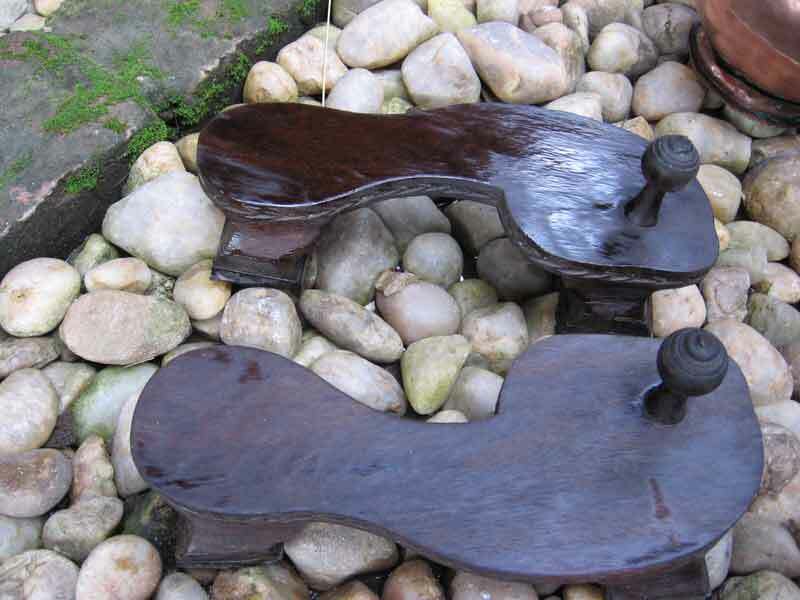 On the detailed photo of the tips of Guru Maharaja’s wooden shoes you can find shallow depressions from his toes inprinted in the shoes. 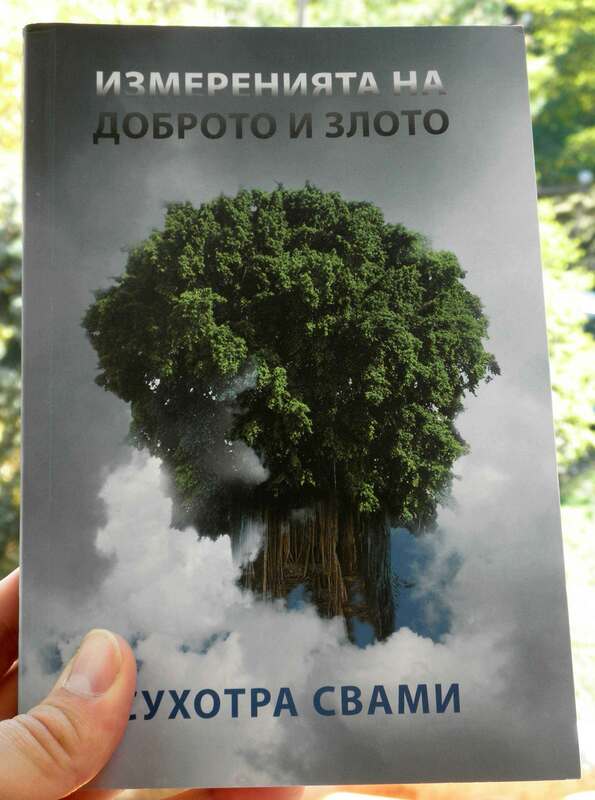 17th June 2010: Today the Czech edition of Suhotra Maharaja’s bookTranscendental Personalism arrived from the printer. Certainly Maharaja’s blessings are with all those who have worked hard to make it happen. The book is also available in our e-Shop. 1st May 2010: There is a good news that after long waiting finally the reprint of Suhotra Maharaja’s last book Vedanta Psychology is again available! You can order it in our e-SHOP. 31st March 2010: We would like to inform all disciples, well-wishers and friends of Suhotra Maharaja that his Tirobhava (disappearance day) is on Saturday 3rd April this year. We thank to Kasya Prabhu, who arranged for Samadhi doors to be final-touched (see the photo) and to Kusa Prabhu, who sponsored the work. 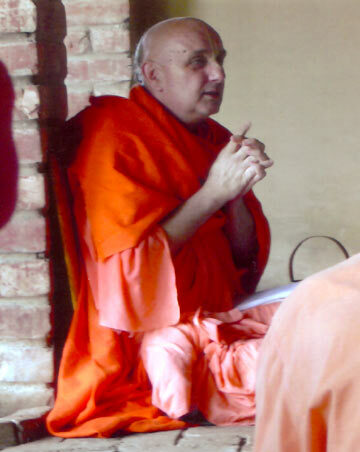 3rd December 2009: “The position of Suhotra Maharaja has raised some controversy in the ranks of ISKCON, both among his peers, his GBC fellows, as well as the next generation. Therefore we can understand that some may feel he belongs on the list published yesterday in the Sun, with the other fallen gurus of ISKCON. We will prove in this essay that those who would clump him with such fellows as adorn the list in question have totally failed to understand his motives or his sterling character. But are mahatmas easy to understand?” writes Adi Lila das in his article “Why Suhotra Maharaja Does Not Belong on the List of Fallen Gurus” which you may read in full here. 13th November 2009: We would like to inform all disciples, well-wishers and friends of Suhotra Maharaja that his Vyasa Puja day is on Thursday 19th November this year. Also we would like to thank wholeheartedly to HG Patita Pavana Prabhu for his nice articles gloryfying Maharaja which recently appeared on Dandavats.com (Suhotra Maharaja: Vaishnava Poet Extraordinaire – and few others). Also we would like to announce the publishing of Czech edition ofSubstance & Shadow. Many thanks to all devotees involved in it’s production! If you would like to help with publication of Maharaja’s books (either in English or Czech language), you may send us donation HERE. Another good news is that we have again in stock Suhotra Maharaja’s booklets Apasampradayas and Sad Darsan. You may get them HERE. 3rd April 2009: We would like to inform you that Suhotra Maharaja’s Tirobhava Mahotsava (disappearance day) is 14th April this year. Good news is that there is positive progress regarding the completing of Maharaja’s Samadhi, which will be situated at Mayapur gurukula (Bhaktivedanta Academy). There were few months of delay, but now it got new push thanks to Tattvavada Prabhu. We are going to inform you as soon as we have more news. Hopefuly these news will be that the Samadhi is finished, which could be within few weeks. Please pray to Lord Krishna for quick completion! 1st January 2009: Good news for the beginning of New Year – there is new edition of Dimensions of Good and Evil by Suhotra Swami available! Order in our e-SHOP. Also available are all the articles written by Maharaja and published in the Back to Godhead magazine. See the LIBRARY. There are 16 new texts (scanned files) written by Suhotra Maharaja from the German magazine “Wie Es Ist”, which was published in the 80’s, in the new sub-section “Die deutsche Bibliothek” . Thanks goes to Manidhara prabhu for supplying the materials and to Kasya prabhu for scanning it. Now we are looking for someone speaking German language who would help us with translation into English. Volunteers, pleasecontact us here. Thank you! There are also new books and texts novailable in the LIBRARY. Down on the page are scanned all the nine Vyasa Puja books (years 1990-1998) containing homages to Suhotra Maharaja from his disciples. Also now available are: file containing all available Vyasa Puja homages of Suhotra Maharaja to Srila Prabhupada (1986-2004), Study guide for Teachings of Lord Caitanya and papers On Social Development. The answer to this challenging question and a glimpse into Maharaja’s reference library you will find in the new section BOOKWORM. 13th May – now with the help of the GOOGLE TRANSLATE (available athttp://www.google.com/language_tools) you may translate our whole site into 23 different languages. Although the translation is sometimes crude, still it is quite helpful for those who do not understand English. 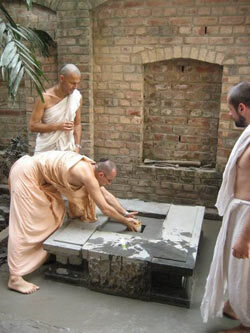 22th April 2008: There are nice photos of Suhotra Maharaja’s Samadhi being ceremoniously put together on the Gaura Purnima day and sealing his ashes inside. Please go to Picasaweb Drdha’s descriptions are HERE. 12th December 2007: one of the four new books recently released by HH Danavir Maharaja is called “Bhu-Gola Tattva – Science of the Round Earth“. It is dedicated to Srila Prabhupada and “his beloved disciple HG Suhotra dasa Tapovanacari”. This book contains Suhotra Maharaja’s 138 pages long investigation on traditional Gaudiya Cosmotheism. (It is almost the size of Vedanta Psychology book.) You may order the book here. 1st June 2007 – We have decided to use on our website the form of address as “Suhotra Maharaja”. Why? The title Maharaja is not used only for sannyasis, but for sadhus (saintly persons) in general, no matter which asram they are in. In some parts of India you can also find that the title “Maharaja” is used as a polite addressing someone as “Sir”.As was already previously explained, the title “Suhotra Prabhu” is not technically exact, as his proper name was Suhotra dasa Tapovanacari. This name he received in an initiation with fire yajna from his siksa guru HH Bhaktividya Purna Maharaja. It is a renunciate title, not sannyasa but “vairagi” or learned performer of austerities. He was not “Suhotra Prabhu ” in the sense of being in brahmacari asrama, because brahmacari is in Vedic culture just a boy not older than 25 years old. He was TAPOvanacari, not just vanacari (vanaprastha), because he was never married. So our site is named Suhotraprabhu.com just for the practicality’s sake, as it would be difficult to fit in his full name there. .
With heart full of pain I have to inform you about recent passing away of HG Suhotra das Tapovanacari from this world. His body was found on Monday 9th April in his room in Mayapur Gurukula.